Those pajamas are so cute and would be the perfect Christmas gift! I got the body creme set as an early gift and it's AMAZING. Highly recommend! I love all of these picks! Such great gift ideas. 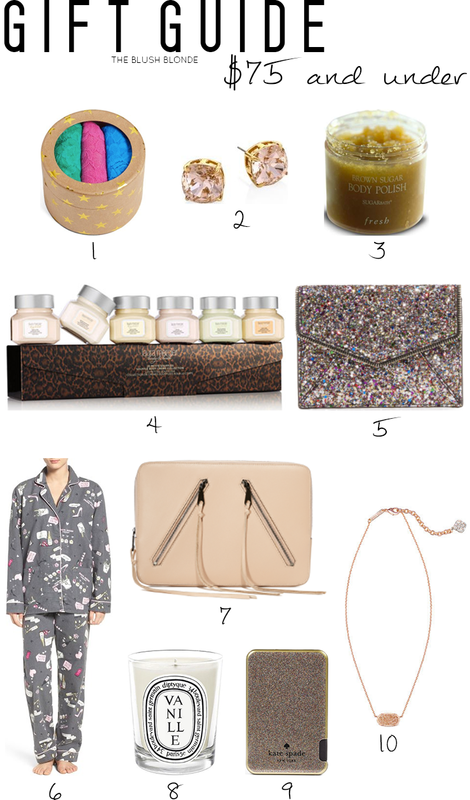 That Kate Spade battery is one of my favorites! I need that sparkly clutch! It's perfect the holidays but I definitely need it for New Years Eve! I'm really hoping for a new pair of cozy pajamas for Christmas! how cute! those pjs look super comfy!! The brown sugar body scrub is one of my favorites! I create my own when I am in a pinch. I love the rebecca minkoff laptop sleeve! So chic and unique! I would LOVE that Laura Mercier set, her body care is SO luxurious.